A 3-hour drive from Minneapolis/St. 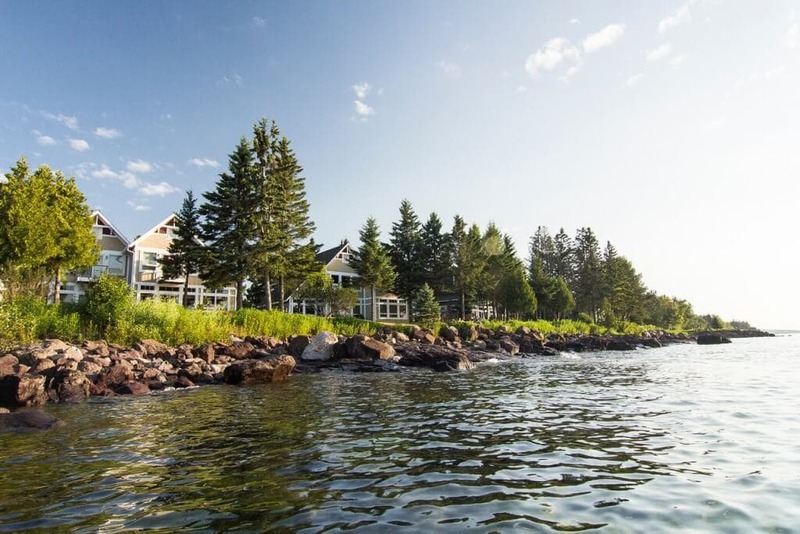 Paul, Larsmont Cottages are tucked away in 40 acres of private woods, south of Two Harbors, MN, with 1,300 feet of Lake Superior beachfront shoreline. Larsmont's finely crafted cottages offer ReTREAT guests shared or private room accommodations. We send a pre-retreat survey to collect room preferences and any roommate requests, as well as additional information. Register and fill out the survey by March 8th so we can assign and secure rooms based on your preferences. Room options include a private, separate guest room or a bedroom within a shared cottage (may be lakeside or wooded location). Not mind sleeping on a sleeper sofa in a common area? Let us, know and we'll give you a discount! Want to share a bed with a friend, let us know, for an even better rate. Warm socks and lots of layers - Minnesota weather! ReTREAT attendees are responsible for arranging transportation to Two Harbors. Carpooling will be organized for those who would like that option. Want to ReTREAT for Cheap? Please add straightlinedancefitness@gmail.com to your contact list upon purchase. Some of our emails may end up in your junk/promotional folder and this is how we alert you of helpful suggestions and comments about the retreat. A pre-retreat survey will be emailed to you prior to the retreat with questions regarding roommate request, dietary needs, hopes and dreams, etc.